Smoke and Thyme has two aspirations: to serve the best food in Oxford and to bring people together around a communal dining table. For the last 5 years I have been running supper club nights to do both of these things from my home and from other locations in and around Oxford. Smoke and Thyme Supper Clubs alternate between the pay-what-you-want nights where I test out and solicit feedback on new dishes, and the Feasts where I bring my finished ideas together on a night that has some kind of unified theme. 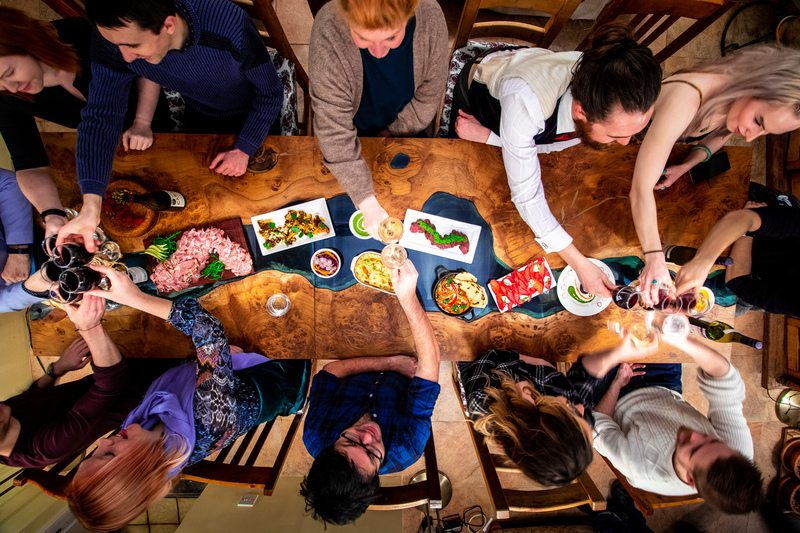 Whatever is on the menu, these Supper Clubs are about the community that comes from sharing food together – the meeting of likeminded foodies around a table, sitting down as strangers and getting up as friends. In between Supper Clubs I use my time to blog, travel, and do private events. For the whole calendar of upcoming Smoke and Thyme events with dates, availability and booking info, click here.